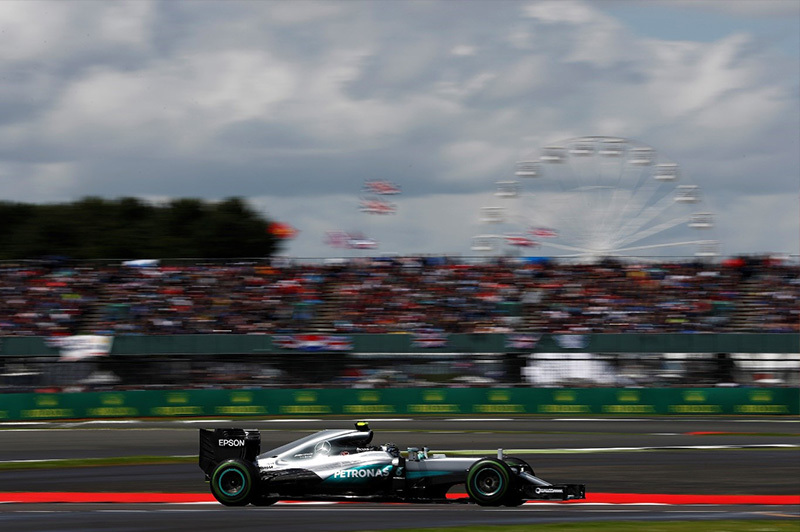 Nico Rosberg crossed the finish line of Sunday’s British Grand Prix in second place, but it remains to be seen whether or not that result will be allowed to stand pending a stewards’ post-race investigation into the legality of some of the radio traffic between the German racer and the Mercedes pit wall. 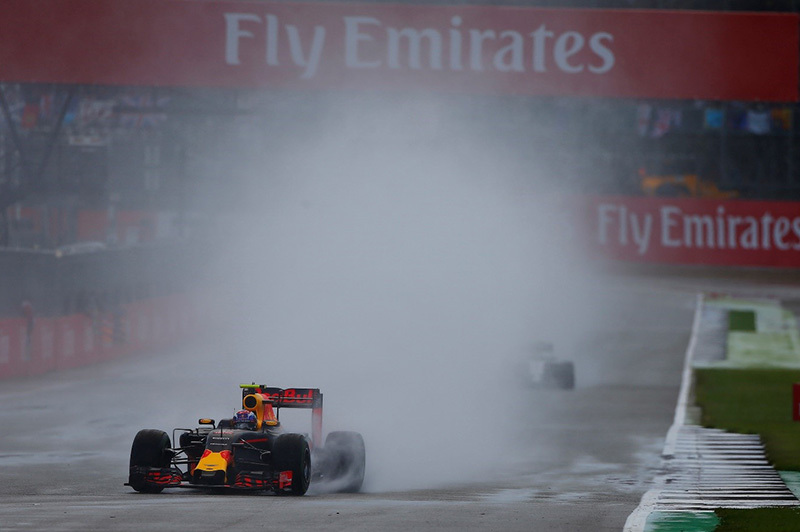 On lap 47, Rosberg was running in second place, albeit nearly ten seconds behind teammate Lewis Hamilton on track, with the Red Bull of Max Verstappen close behind. Having lose three seconds to Hamilton in the preceding two laps, Rosberg radioed the team in a panic, crying “gearbox problem!”. The conversation appeared to be in violation of this year’s rules governing radio traffic between car and team, with Rosberg being given far more information on solving his problem than Hamilton had been allowed in Baku last month. The stewards announced that the radio messages would be subject to a post-race investigation which was still ongoing at the time of writing. 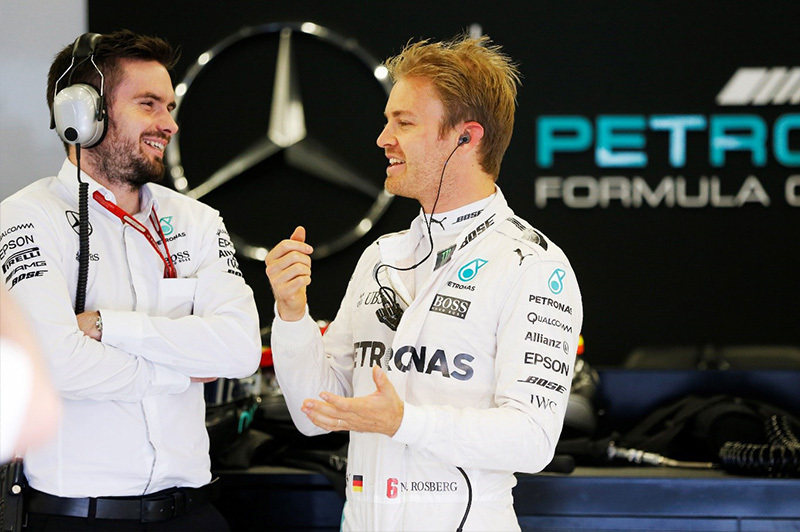 Speaking in the post-race press conference, Rosberg was confident he would not be penalised. "It was a very critical problem, I was stuck in seventh gear and was about to stop on track," he said. "So they told me to change the default to try and fix it." 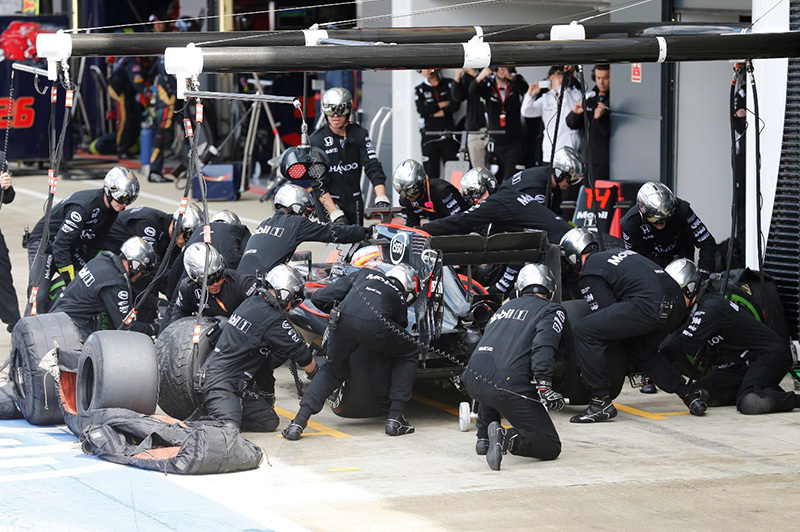 Given that other drivers have been denied help fixing their cars on track this season in similar circumstances, the situation is not as black and white as Rosberg appears to feel. 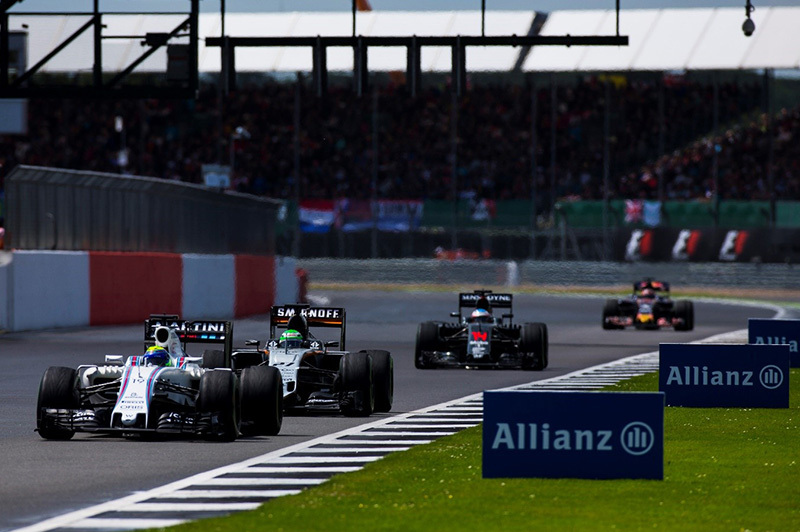 If there can be said to be trends in overtaking in Formula One, then the hot manoeuvre at Sunday’s British Grand Prix was the unexpected pass around the outside, as ably demonstrated - defined, even - by Max Verstappen sweeping past Nico Rosberg around Becketts when the pair were still on inters in the opening phase of the race. 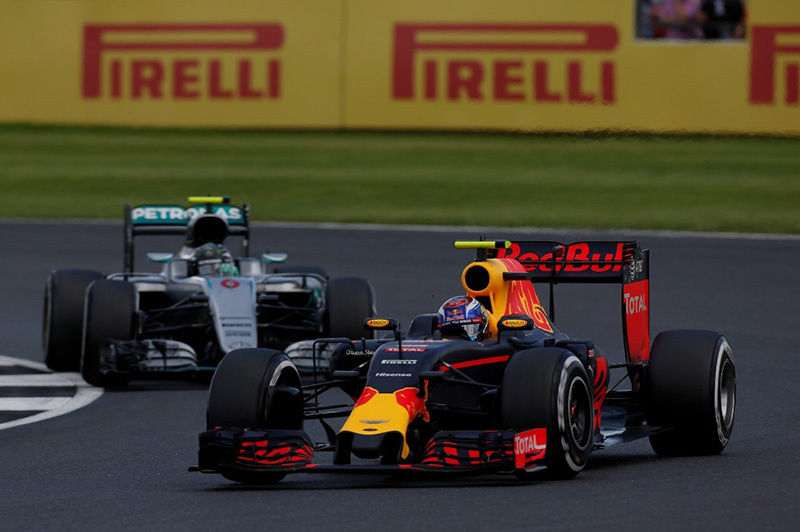 "That move at Becketts... that was pretty sensational," Red Bull team principal Christian Horner said after the race. But Verstappen downplayed the achievement in his post-race comments, showing humility atypical of an F1 superstar in the making. Another man to spend the afternoon trying to go “round the outside” was the grossly underpowered Fernando Alonso, who was busy chasing down the scrapping pair of Nico Hulkenberg and Felipe Massa, attempting outside overtakes before the Brazilian peeled into the pits for fresh rubber. Later in the afternoon the Spaniard tried to pass his former Ferrari teammate around the outside of the Wellington Straight, but the McLaren was unable to make it past the Williams on that occasion, despite his best attempts to make the most of unexpected passing opportunities to circumvent his car’s relative deficiencies. 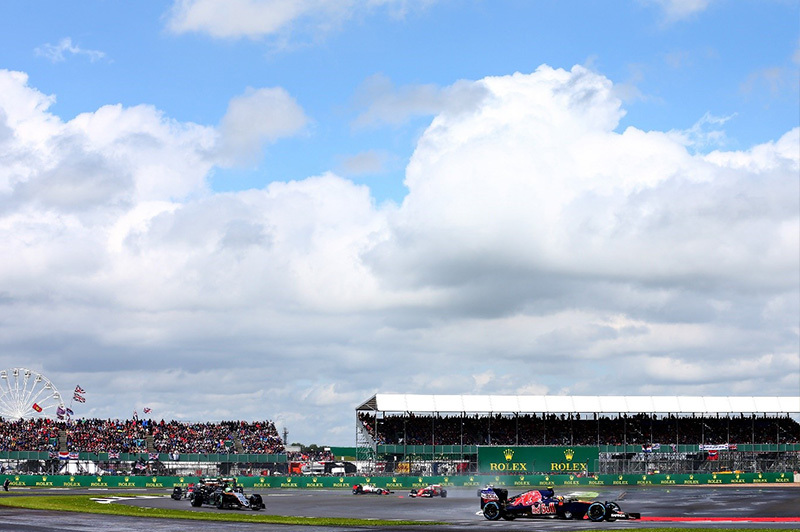 The wet-to-dry conditions on offer in the first part of the British Grand Prix saw the field struggling for grip, leading to errors both major and minor - especially at Abbey, which saw off-line visits from nearly half the grid during 52 laps of Silverstone Circuit. First to suffer was Manor’s Pascal Wehrlein, who aqua-planed into the gravel when the pack was running behind the Safety Car, telling his team over the radio that he’d had “no chance”, thanks to the total lack of grip. Wehrlein started a trend, and the wet patches around Abbey saw Kimi Raikkonen take a side trip to Oxford via the run-off, a handful of laps before Ferrari teammate Sebastian Vettel made a similar - if shorter - detour. But the hero of Abbey had to have been Fernando Alonso, who refused to let being beached in the gravel affect his ability to race. The McLaren driver span three times into Abbey, ending his rotational journey not far from the wall, but gunned his engine and - following a few sprays of gravel - managed to get his car back on track, racing on to 13th place. Other drivers to take Abbey off road included Carlos Sainz Jr., eventual race winner Hamilton, Sergio Perez, Rio Haryanto, and Max Verstappen, although the third-placed finisher had less of a detour than what the Red Bull driver called “a few moments”.